A research project on Louise Jopling and her circle has been in progress at the University of Glasgow since 2005. The project aims to document her career as a leading female artist and her close-knit artistic, literary and theatrical world of late 19th century London and Paris. It also seeks to understand better the climate in which women then practised as artists and, more generally, the climate for women's growing participation in the workplace and in public life. An electronic catalogue raisonné of Jopling's works, including exhibition histories, sale histories and reproductions of each work where possible. A hard-copy biographical and cultural study of Jopling by Patricia de Montfort, Louise Jopling: A Biographical and Cultural Study of the Modern Woman Artist in Victorian Britain, published by Routledge-Ashgate. The first public display of her work for over 70 years. This took place at The Hunterian, University of Glasgow from 13 March-13 September 2015. See a sample of the display here. 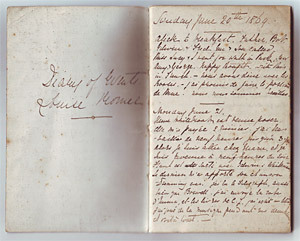 The transcription and annotation of Jopling's correspondence (correspondents include leading literary, artistic and theatrical figures of the day such as James McNeill Whistler Oscar Wilde, Ellen Terry, Kate Perugini, William Holman Hunt, Sir John Everett Millais, and Punch editor, Shirley Brooks). The digitisation and annotation of her studio and household notebooks with the aim of analysing the economic basis of Jopling's studio and exhibition activity.